You are here: Home / At Home / Easy to make Disney Easter Eggs! 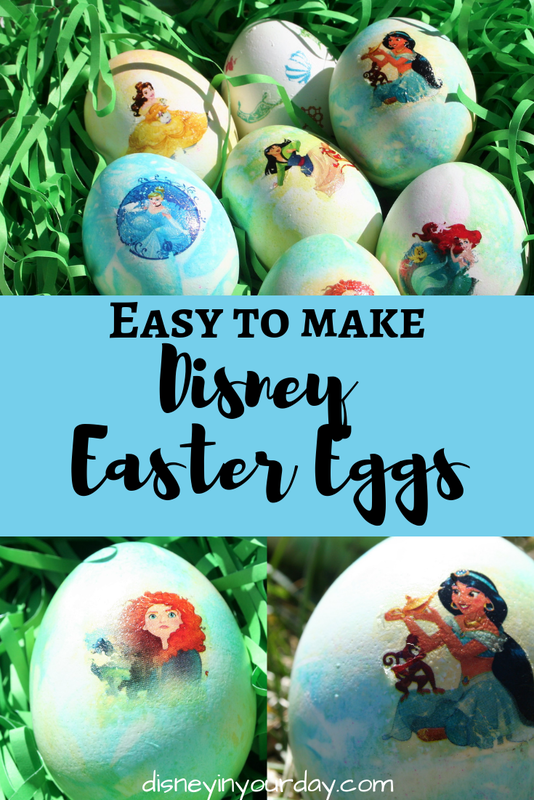 If you’re like me, you probably look at all of the great Easter egg decorating ideas on Pinterest and feel totally inspired by some of the awesome Disney designs. Then you think about attempting some of them for yourself, and, well… Pinterest fail. I tried my hand at some Disney Easter eggs a few years ago, and while they weren’t terrible they were fairly basic and still pretty difficult for me to create. 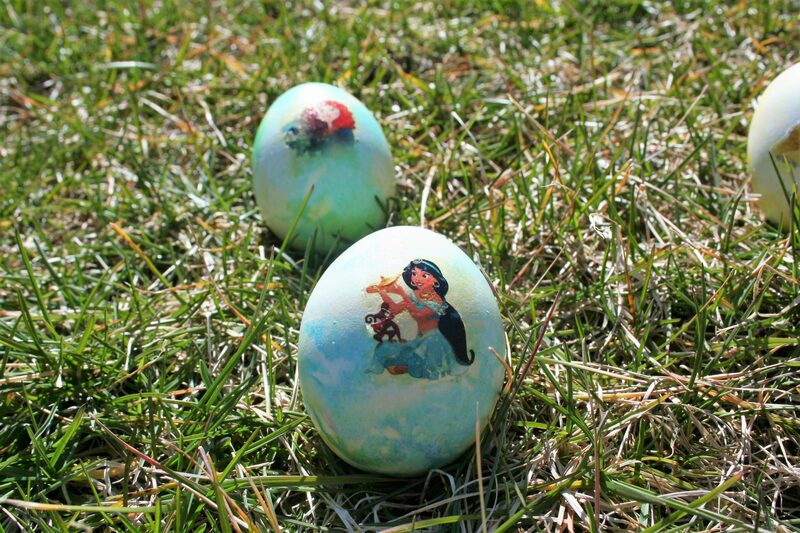 Last year I discovered a much easier way to make really cool looking Disney Easter eggs! The secret? Temporary tattoos. It’s actually pretty easy to transfer a tattoo design right onto a hard boiled egg, and it ends up looking fancy and professional. Start by hard boiling a bunch of eggs. Make sure the eggs are totally dry before you move on to the next step. Cut out the tattoo you want to use, take off the plastic layer, and lay face down on egg. Place a damp washcloth or sponge over the paper. Don’t saturate it too much. Hold for 10-15 seconds. Carefully peel away the paper, leaving the tattoo transfer on the egg. Repeat with as many Easter eggs as you’d like to create! 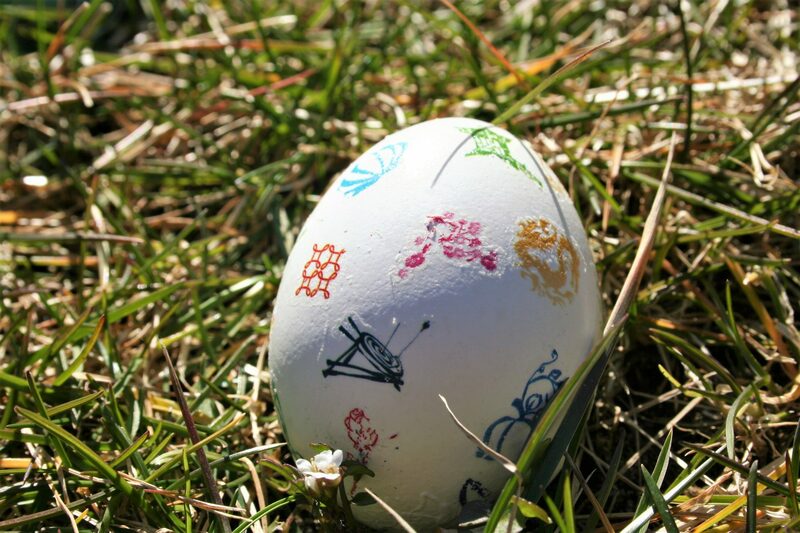 Many of the tattoos will show up best on a plain white egg, especially if they have very colorful designs. If you want to dye your eggs before putting on the tattoos, make sure they are completely dry or else the tattoo won’t stick. Smaller designs can be easier. You have to be careful with larger ones because they can get a little warped with the curve of the egg. 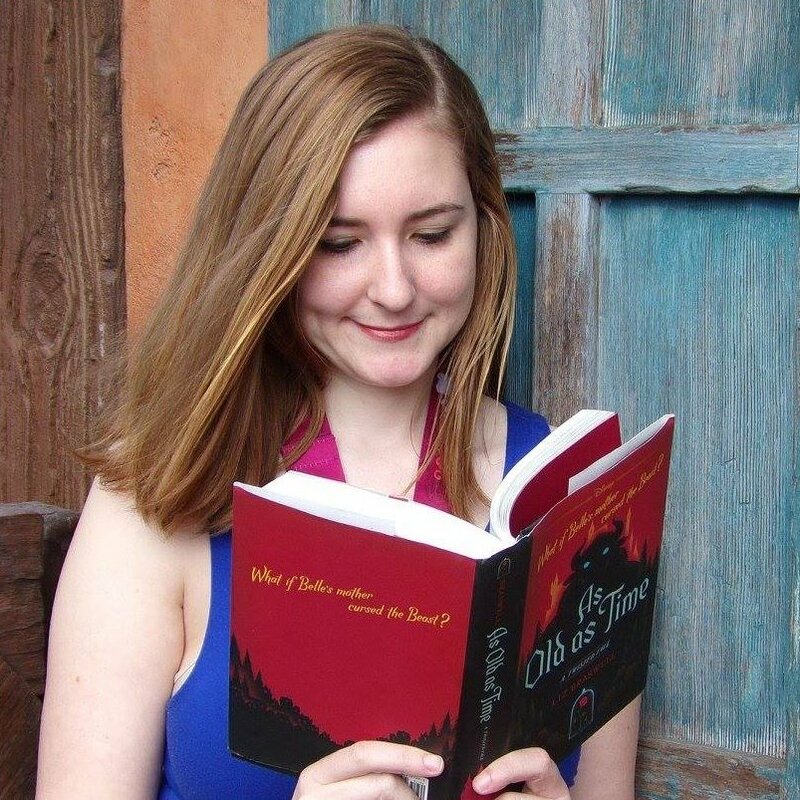 There are TONS of temporary Disney tattoos available, so you can do almost anything you want! 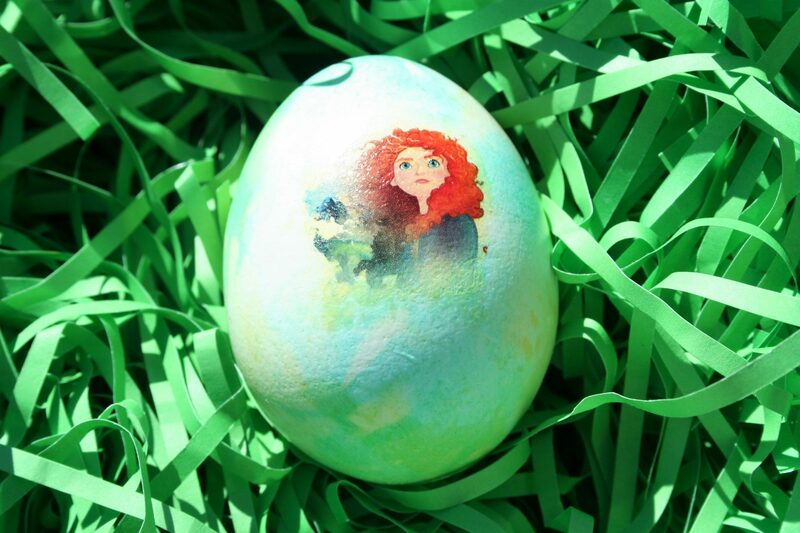 Have you created your own Disney Easter eggs before?